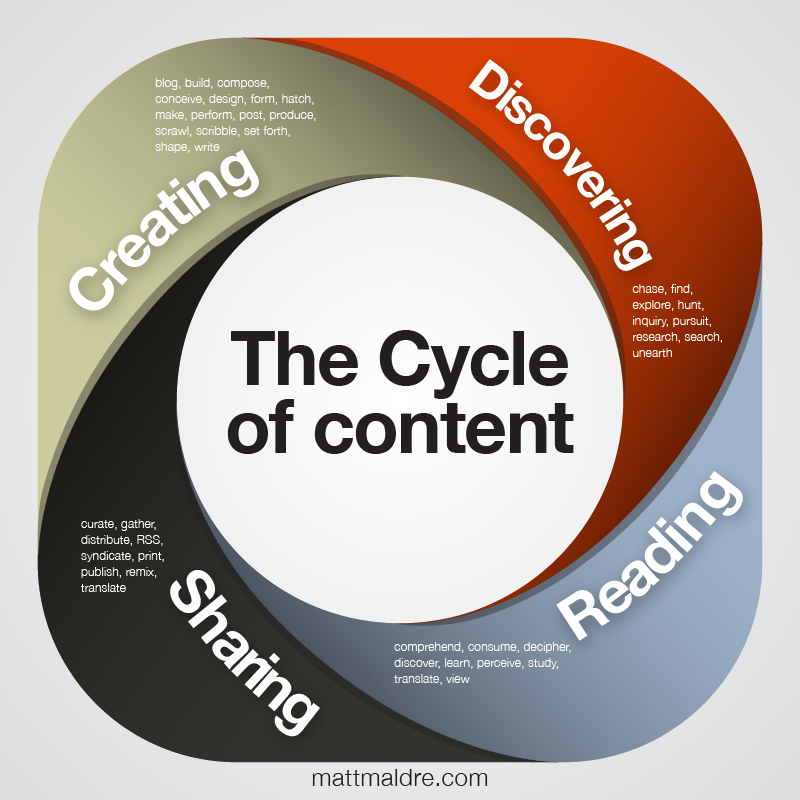 All content goes through a life cycle. First content is created. Then people discover the content. People read the content. Finally, people share the content. By sharing the content, it becomes recreated like how a DJ recreates music by making it into a mix. The content is then discovered by other people, consumed, and reshared. The cycle goes on and on.